Awesome! So welcoming and wonderful. We had a great weekend. The property is perfect, Jim was so friendly and helpful, and we loved that fresh eggs and bacon. Will definitely come back! Thank you Ariel! We would love to have to back! What a fantastic combination of charm, coziness and beauty! 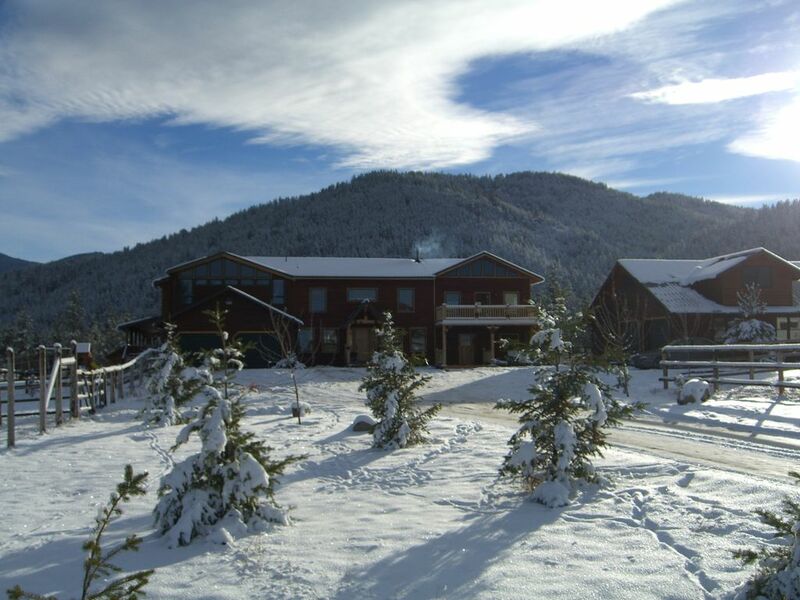 We had a wonderful time staying at Jim and Donna's -- from the horses to the hot tub in the snow beneath Montana's stunning night sky, we couldn't have had a better stay. Not to mention the bed -- not only is it gorgeous, but probably the most comfortable bed we've ever experienced -- a critical component for two weary travelers after a full day of flights and hiking along Lake Como. We had a great time and would have loved a longer stay! Thank you so much Jessica. So glad the bed was comfy for you and we would love to have you back! Awesome "cabin" apartment over the garage in a wonderful, quiet rural setting. Quiet, clean, spacious and well appointed studio apartment. Jim and Donna are great hosts. Not far from Lost Trail Ski Area. Highly recommended. We hope to get back. Thank you Penny and Dana! Come back soon! We just got a bunch of new snow over the last few days and it's still snowing! So pretty! Beautiful area and great hosts. My family had such a great time here. This home is tucked away in the mountains. It’s quiet and comfy with everything you need. Jim and Donna are great folks helping with anything you need. We will definitely return again!